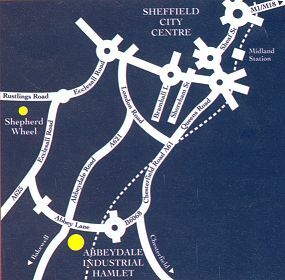 Formerly, a major Sheffield industrial complex, the Abbeydale Industrial Hamlet now provides a unique look back in time to the days when craftsmen worked at machinery powered by water-wheels to produce steel and scythe blades that were exported around the world. 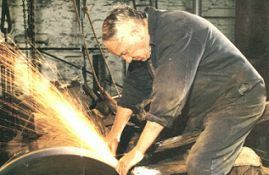 Regular Working Days are held throughout the year where you can see the old practices being used. 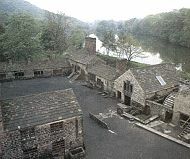 Have a look at working water wheels, forging hammers and grindstones in use. See the only surviving Huntsman crucible furnace in the world. For enquiries and group bookings call 0114 2367731. The Tilt Hammer - dedicated to Sheffield's industrial history. Local history resources. Picture gallery.